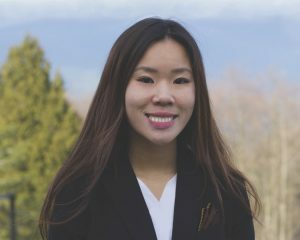 Hi, my name is Priscilla Chan and I am excited to be running for the position of CUS President in the upcoming 2019/20 election! 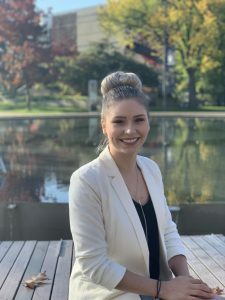 As a current fourth year student heading into my last year at Sauder, I’m passionate about giving back to the Sauder community and making a positive impact by supporting students and giving them opportunities for personal development and growth. My time as the Commerce Student Senator, Senate Representative on the AMS Council as well as Chairperson of the Board of Directors this year has given me ample knowledge and understanding about how the CUS operates. Those positions have also taught me effective interpersonal and strong management skills. As your elected President, I will ensure that all your voices are heard when I represent our faculty at multiple areas within the university. In addition, I will be promoting strong interfaculty relations through collaborations, attending meetings with other faculties to build strong relationships with them. Thank you for your support and I wish everyone running in the elections the best of luck! Taryn is a fourth year, BTM and OBHR student. She has been very involved in the Sauder community over the years, and loves helping others create their sense of belonging. 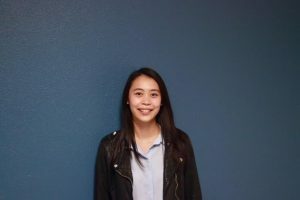 Taryn has been the VP Mental Wellness for Sauder Health and Wellness for the last two years, and is also the current CEA Director in charge of Spark Chats. She has been an Imagine Day Leader, a Spark Leader or a Spark Crew member every year since her first year. 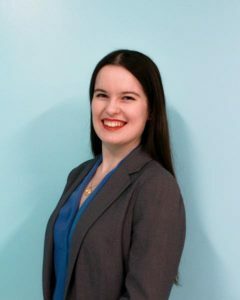 In her second year, Taryn served as the Ombudsperson where she sat on committees such as Executive Council Hiring Committee, Budget Committee, and Policy and Organizational Development Committee. – Analyze the previous Board of Directors’ performance. – Review and continue with the CUS Strategic Plan. constituents and initiatives such as the Community Pulse. 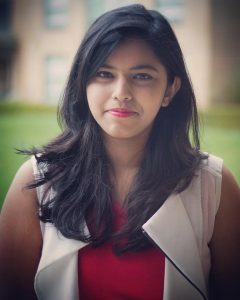 – Foster engagement between students and undergraduate societies. – Increase access to wellness resources for leaders. – Empower student leaders to support and educate their teams about wellness. – Improve awareness of campus resources. – Organize more wellness events. – Solidify resources for sexual assault and harassment relief. – Promote inclusive terminology and a safe community. 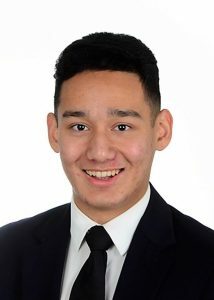 Shaurab Hamal is a third year student at the UBC Sauder School of Business. His specialization is in finance and he is in the co-op program at Sauder. 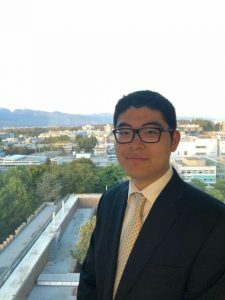 He grew up in the lower mainland of British Columbia and decided to attend UBC because it was the best school close to his family. 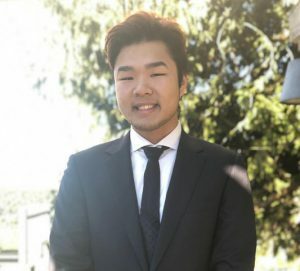 He has loved his time at UBC Sauder ever since, and is ready to help improve his school’s community. 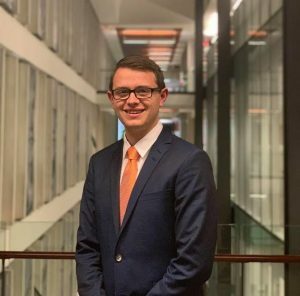 Shaurab wants to be a fourth year representative for the CUS in the upcoming year because he wants to create more opportunities for students to get involved on campus. 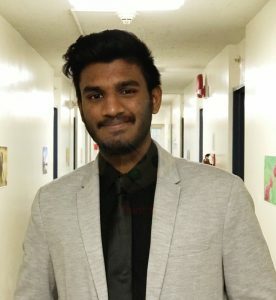 For the entire undergraduate community of Sauder, Shaurab also wants to find a way help students handle school work, health, and wellness better. Outside of school, Shaurab loves to watch and play sports. Your vote counts, so vote for Shaurab as your fourth year representative in this year’s election! Hey, hi, hello! 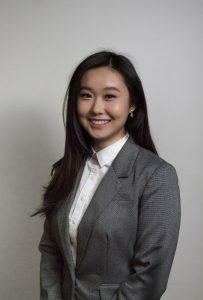 My name is Jessica Jiang and I am running to be one of your CUS Fourth Year Representatives for 2019 – 2020 with a focus on personal, community, and involvement growth for my cohort (and hopefully all students in Sauder as well)! From being the third year rep. for 2018-2019, I have learned a lot and cannot wait to continue to support the fellow Sauder community. If you have any questions, feel free to shoot me a message – I’d be happy to chat with you! Hi, im commonly known as Sauder’s bae: superbae! Last year, I was heavily involved in budgeting the student fees across clubs and services after intricately understanding each line item on the appeals. This year, I aim to continue fostering the community through various services and reconsider the budgeting allocation to certain services. My mission is to critically evaluate the suggestions made by the review committee and utilize the monetary and non monetary resources in the most effective way. A vote for me is a vote for efficiency. 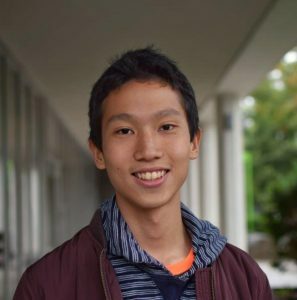 To be frank, the reputation of the CUS is often misrepresented at UBC and together, we need to work to fix this. 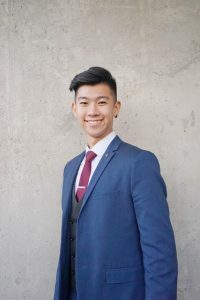 My name is Frank Pan and I am extremely excited to run for second-year representative in the upcoming 2019/20 election! I am an upbeat individual who loves meeting new people and sharing experiences with others. Some of my hobbies include playing tennis, jamming out with some jazz, and going on adventures with friends. After working customer service jobs both on and off campus, I have developed strong interpersonal skills. 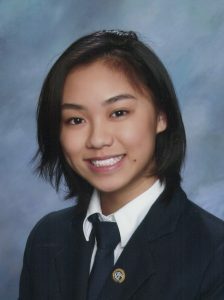 Previously, in high school, I was the elected salutatorian of my graduating class, as well as president of both the Model United Nations club and the debate club. My passion for politics and debate will ensure our voices are heard with the CUS! The CUS always flaunts its $1.2 million budget, but most Sauder students have no idea where that money goes! As your second-year representative, I will strive to inform all Sauder students about the budget plan, and specifically what their money is going towards. As well, I plan on improving the CUS’s relationships with other faculties. Together, we can work towards an even stronger undergraduate society. Vote Frank Pan, and together we can improve our plan! S-A-U-D-E-R SAUDER JUMP ON IT! HEY SAUDER FIRST YEARS! 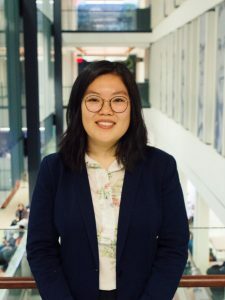 My name is Elaine Zhang and I want to be your CUS second year rep.
Connect: With over 700 first years in Sauder, I want to meet and connect with as many of you as possible. I will serve as the bridge between you and the CUS, always striving to improve the connection by conducting online and in-person surveys. I am and will always be accessible and present to listen. Convey: A bridge works both ways, I will not only be your voice and convey your concerns, suggestions and comments to the Board of Directors. I will also keep you guys closely updated on all CUS opportunities and initiatives. Whether you’re here to learn, network, play, or all of the above, I’m sure you can find your niche within the CUS. Lead by example. Sauder, especially the CUS, is a warm and welcoming place. Knowing that university can exert a lot of stress and negative energy, I aspire to always be optimistic, approachable and considerate. Though being your voice is important, I feel that it is even more crucial to offer you support, as a representative and as a friend. Feel free to chat with me on social media or approach me in person. Always down to make new friends! 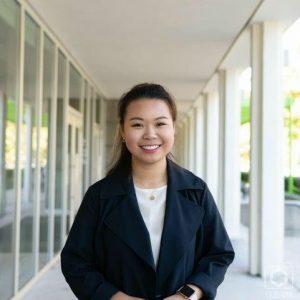 Passionate, patient and enthusiastic, my name is Elaine Zhang and I’m here for you. Be amaZhang and vote for Zhang. Hey guys! My name is Jenny Zhao and I am back at it again, running to be your CUS Second Year Rep. As you may wonder, why should you vote for me? Well, after surviving my first semester at Sauder, I now understand the difficulties that students face at the beginning of their independent lives. While more and more people begin to ask about our future plans, many of us have no idea how to answer these pressing questions. And while perfecting our resumes, looking for jobs, and struggling with our courses, we sometimes are so afraid of failure that we forget that we are all in this battle together. This is why I want to unify Sauder students and create support groups for all of us to connect, help, and guide each other through our academic and personal journeys. I want to make sure that second year students receive the help that they need when in times of doubt. Helping others is my passion, and if you ever need a friend to talk to, please don’t hesitate to reach out to me. Overall, I promise to give you the full support that you need during your second year at Sauder, and to be the voice of your thoughts and opinions to the CUS.